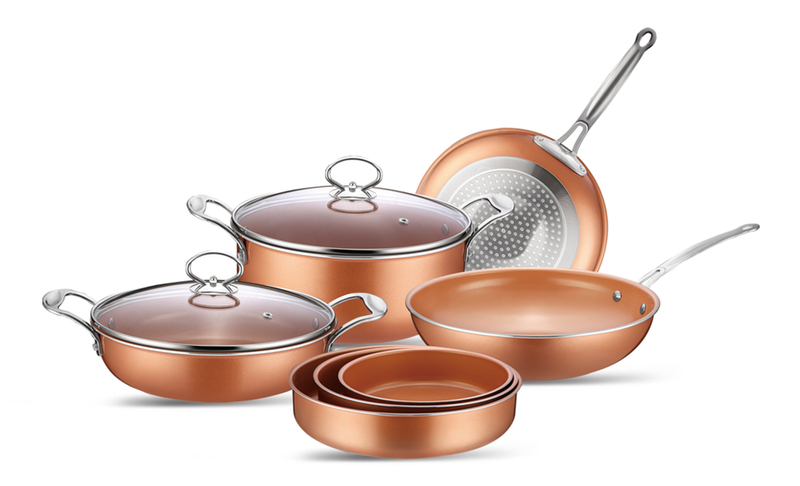 Product categories of Pressed Cookware, we are specialized manufacturers from China, Pressed Cookware, Pressed Non-Stick Cookware suppliers/factory, wholesale high-quality products of Pressed Aluminum Non-Stick Cookware R & D and manufacturing, we have the perfect after-sales service and technical support. Look forward to your cooperation! 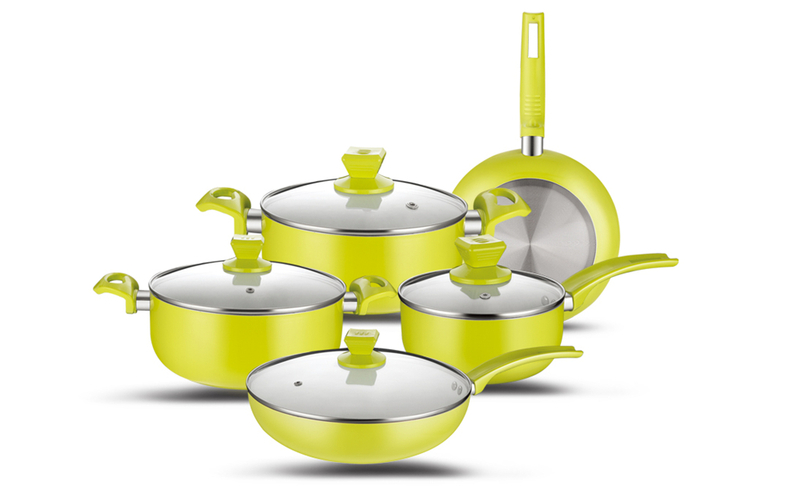 Aluminum Cookware is generally use to every family. Since aluminum is a light weight metal with very good heat conductivity and is an excellent choice of metal for making cookware. Aluminum cookware does not rust, and it is resistant to corrosion. Because aluminum cookware can react with some acidic foods to change the taste of the food, most aluminum cookware has been coated with a nonstick coating. Either process will eliminate the problem of acidic reaction. Aluminum cookware that has been made from sheet aluminum is manufactured using a pressing process under heat and pressure.